Douglas Lilburn Auditorium is ready to host the big events once more. 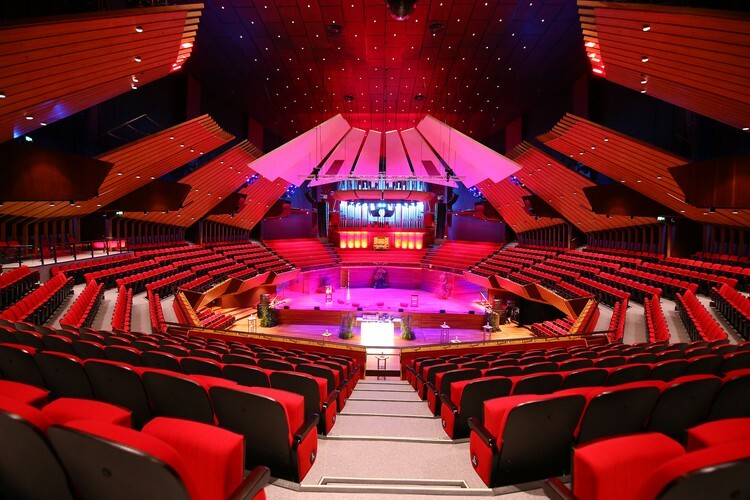 The acoustics are considered to be among the best in the world, making this the ideal for everything from conferences and seminars to rock concerts and classical music. Modernisation of the seating configurations in both the Douglas Lilburn Auditorium and the James Hay Theatre will make the spaces even more easily transformed into a spectacular setting for gala dinners, cocktail receptions and other special events. The James Hay theatre is still a work in progress but is currently scheduled to be complete at the end of April. Roberta Flack is Killing Us Softly With...Tickets! National Concerto Competition Finals -- Piano. Circus Proms - Over the Rainbow! Christchurch City Choir presents "The Armed Man"